The swamp is drying up. History has posted a new preview for the last season of their reality series, Swamp People. Created in 2010, the reality series follows a group of Louisiana natives who hunt alligators in the Atchafalaya Swamp. Earlier, we reported that History had cut several cast members from the seventh season of the series. Now, the network has posted on their Facebook page that season seven will be the final one for the reality show. The last season is currently airing on History on Monday nights at 9 p.m. ET/PT. What do you think? Do you watch Swamp People? Do you think it should be cancelled? More about: History TV shows: canceled or renewed?, Swamp People, Swamp People: canceled or renewed? Ice Road Truckers: Cancelled or Returning for Season 11? Top Gear: US Version of Series Cancelled by History? All my family have watched the show since it first aired even met Troy and Chase. It is hard for me to think of some shows that are aired not fit to be on television and this decent show is cut. Disheartening. Please… Everyone that likes the show should contact network and History channel in protest. Voice your dislike of their decision. I am doing my part. 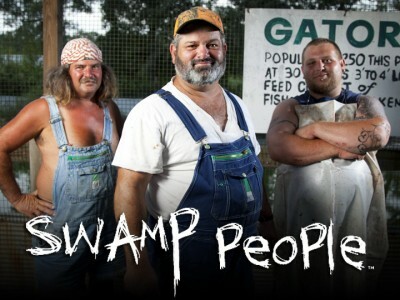 they put junk on television you don’t like to watch .hope to see swamp people on for many years. i guess I can just turn the television off and shut of my dish . Why would you cancel a show as good as this one?When you finally get worth watching week after week, it gets canceled & replaced with something that doesn’t compare. I hate the fact there is so much being offered on TV I have so little interest in & that’s what I’m paying so much for. Crap. I miss this show so much. Need more of it.